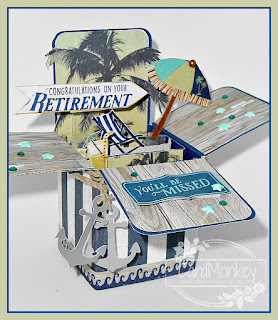 CardMonkey's Paper Jungle: Stampaganza Blog Hop! 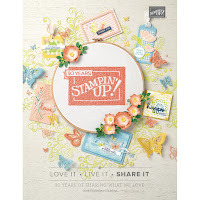 It's my pleasure to be participating in this Stampaganza Blog Hop by the Scattered Hearts Team, hosted by Tina Sutton -- our fearless leader and one of the top Close To My Heart (CTMH) superstars. You should have arrived here from Heather's blog. If you have jumped here and just discovered our blog hop, feel free to check the participants' list at the starting point at Tina's blog at missgingerdots.com to find the complete list of blog hop participants. 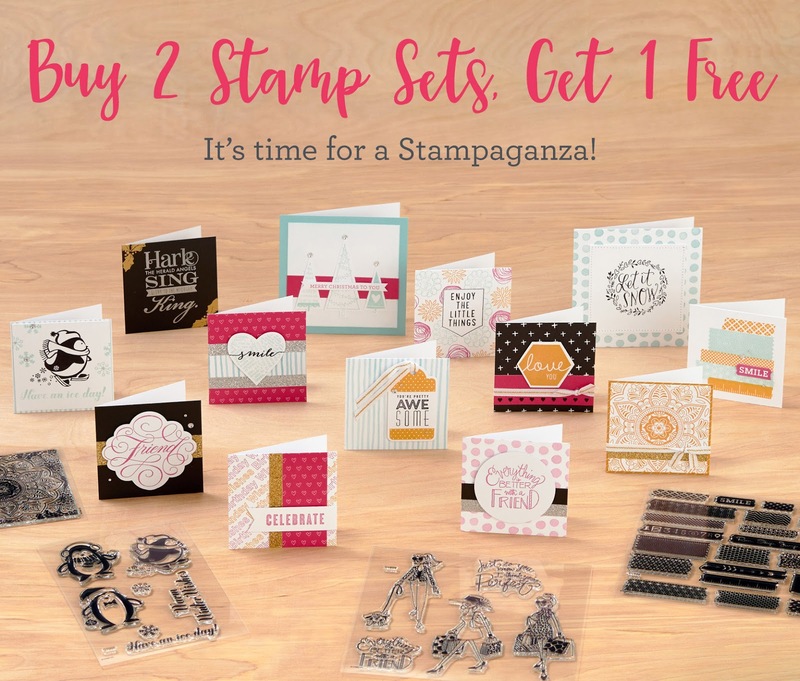 Tina asked hop participants to show current CTMH products and stamp sets, and to offer a reminder that in July, Stampaganza is back! 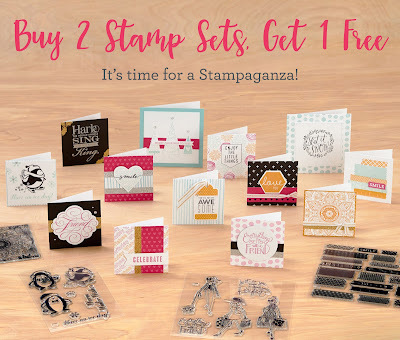 What's a Stampaganza? 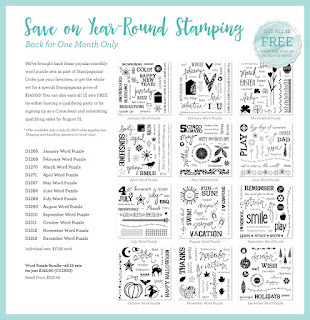 This is where you can buy two of the current CTMH stamp sets and get a third of equal or lesser value FREE!! 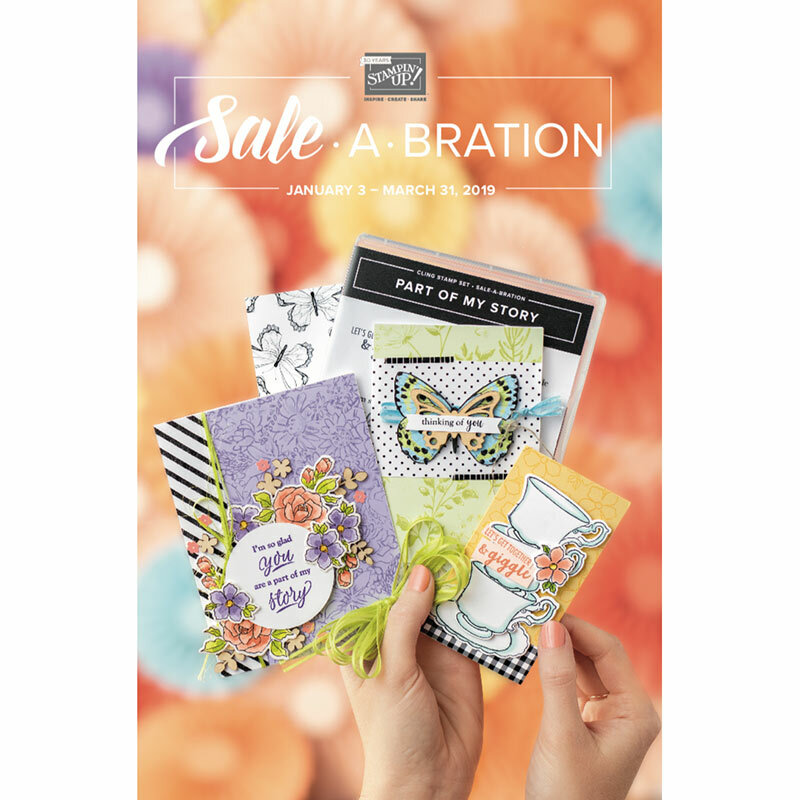 That's right -- this includes any stamp set shown in the 2016-2017 Annual Inspirations or the Seasonal Expressions 2 catalogs. And here is another reminder: those catalogs and all of the paper in them (along with most of the current stamp sets) will retire on July 31, so get them now! For my project, I made my favorite style of card (yes, again!) 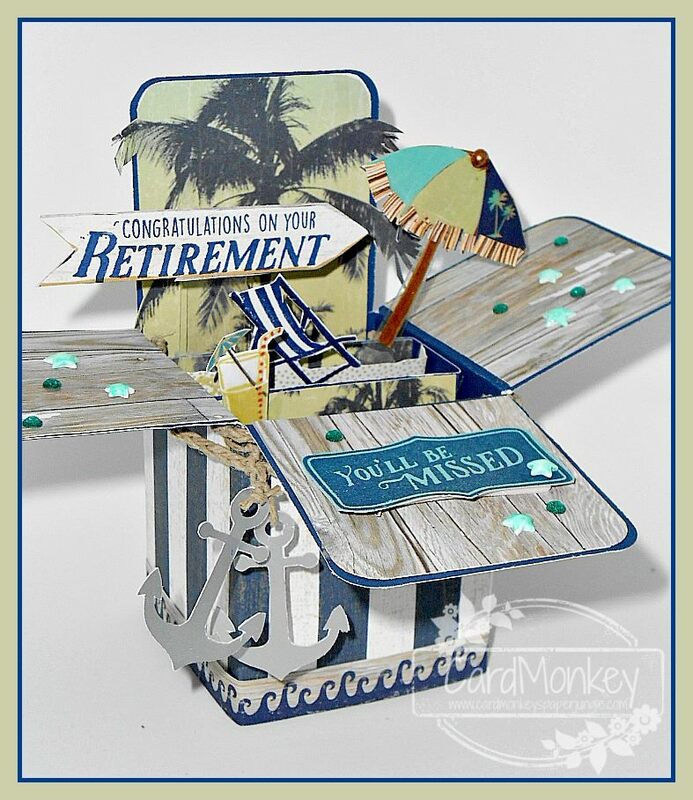 -- a pop-up box card -- but this time, I used the current "No Worries" line of CTMH papers with its beachy feel, along with the complementing "No Worries - Cardmaking" stamp set (C1679). I made it with a retirement in mind, but for no one in particular ... and within a few minutes of showing it off on Facebook, my daughter Emily asked if she could claim it for a retiring nurse who is heading for the beach. To make it, I used my Pop Up template that you can find on my tutorials site, link here. The finished card folds flat to 5.5" x 5.5". I cut the base of the card CTMH's using Sapphire cardstock. I used a center strut to hold the embellishments, which were stamped using Sapphire Exclusive Inks by CTMH. My favorite detail on the card is the braided twine tied around the box, holding two anchors. I cut the anchors from silver metallic paper, using my Cricut. I make all sorts of Pop-Up Box Cards, and frankly, they are my biggest custom seller. Last week, I made this wedding Pop-Up Box Card on special order. 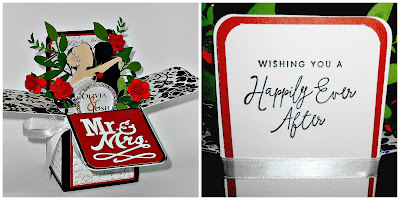 The card uses current Ruby cardstock, and retired CTMH paper called "For Always." On the back of the card, I used a current stamp set called "Wedding Wishes" (B1547, $9.95) and send this reminder: you can get this stamp set and all other current stamp sets at B2GO pricing, through July 31. 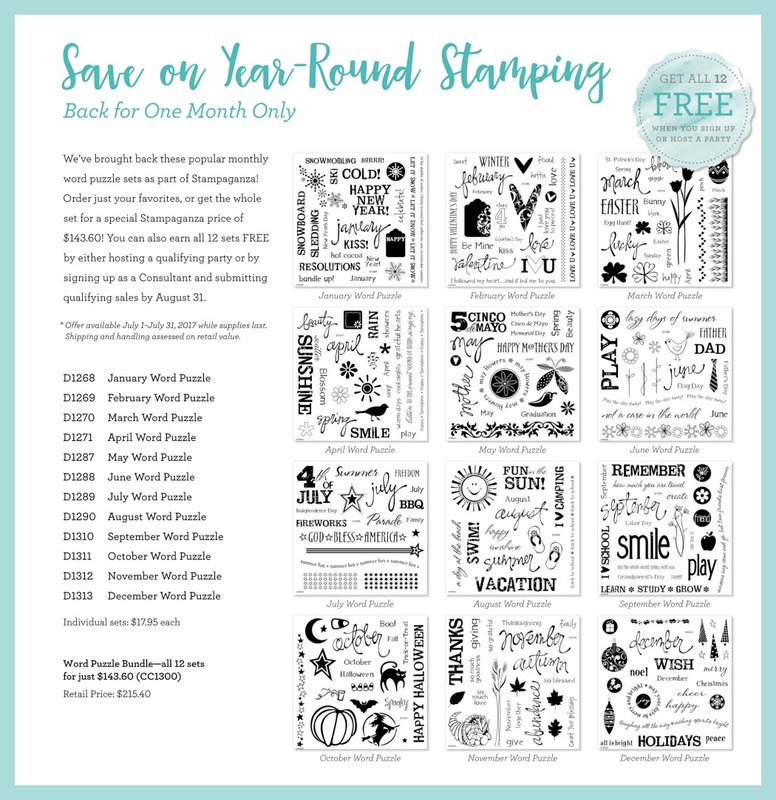 Also during "Stampaganza," you can also get a fantastic set of 12 month-specific D-sized stamps called "Word Puzzle" for the unbelievable bargain price of just $143.60. But wait! Want to save THAT amount too? You can get the "Word Puzzle Bundle" for FREE (!!!) by either hosting a qualifying party OR enrolling to be a new CTMH Consultant this month, and achieving $300 in sales by August 31. I'm telling you ... either will be easy-peasy when you see the new CTMH Annual Inspirations catalog. Contact your favorite CTMH Consultant for more information on how to join, or how to host a party either in person or virtually! Lost or need more info? 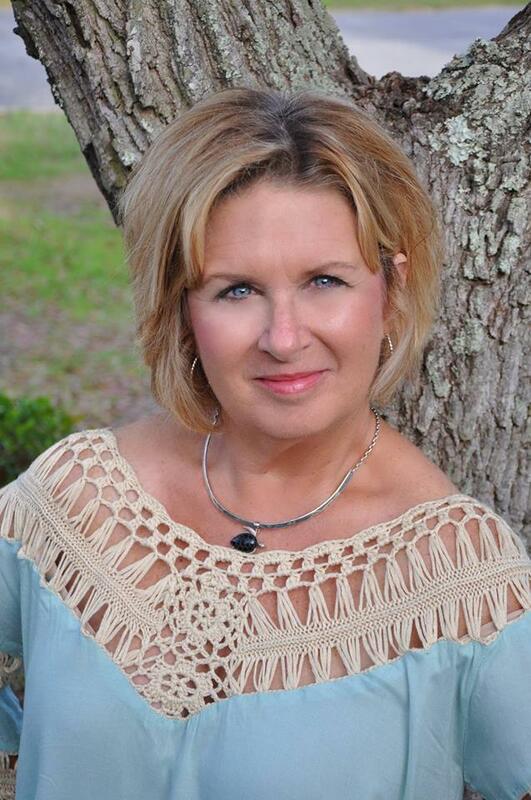 Check out the full list of hop participants at our host site, with Scattered Hearts' team leader, Tina Sutton. Click HERE. I love pop up boxes and this one is especially cute! Great job! Love your pop up boxes. Both of them are stunning. Oh my gosh your pop up boxes are adorable!! You are the master of pop up card boxes! Thank you for sharing! You made a POP UP card with my favorite collection! LOVE it! LOVE , LOVE your pop up card. It is SO perfect. Great design. I like that you even use the Cricut to add that extra look. Great one ! Lovely pop up card. I will definitely be going to your tutorial to find out how to make these! Amazing and beautifully made box cards. Your artwork blows me away! So happy to have yo on our team. You are very talented.